On January 1st of 2012 I officially made the big step out of my combat boots and into my flip flops. It was indeed a significant and personal event, but it also marked a pretty significant change in my status in the eyes of the federal government. On that day I became a non-member of the Department of Defense and the newest constituent of the Department of Veterans Affairs. This jump is significant for a lot more reasons than I realized, and it can be confusing and overwhelming if you aren’t ready for it. 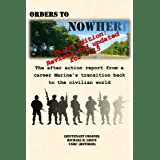 The day you become a civilian again marks the day you can no longer take advantage of many of the benefits you enjoyed in uniform. If you are moving on after an enlistment or two and are not joining the retired rolls, then pretty much all of the benefits disappear with your short haircut. No more tax free shopping at the Post Exchange and no more subsidized groceries at the commissary – you are fully back in the civilian world and get to pay full price (tax included!) for your next pair of cargo shorts. If you are retiring, however, you are still entitled to some benefits. You can still shop at the PX and the commissary, which is nice. You can take advantage of many of the recreational facilities, too, such as the campgrounds, gymnasiums, and beach cottages. Your priority slips to one peg below those still on active duty, but that’s ok. After all, you’re retired now, so you have all the time in the world…or not, but that’s another story we’ll talk about later. Either way, whether you are retired or simply out of the service, you still have a governmental agency that is looking out for you. So what exactly does the VA do for you? Well, let me fill you in. First, a little bit of history. By the beginning of the 20th century there were many programs to help veterans. There were veteran’s retirement homes as well as hospitals and other facilities, with the responsibility for taking care of vets shared between several federal agencies as well as the individual states. With the carnage of the First World War, however, it became evident that a consolidated and coordinated federal system was needed to meet the demands of the many thousands of veterans and their families. In 1930 the Veterans Administration was created by act of Congress. It consolidated all of the federal programs and responsibilities under one cabinet level department and took the onus of care off the backs of the individual states. With the Second World War the department expanded dramatically and became the VA as we know it today. Within those major programs are dozens and dozens of smaller ones. Take, for example, the educational benefits. It isn’t just for college! There are programs to teach you trades and skills completely free of charge, and depending on your status you may even be paid a housing allowance to go to school. So when you take off your uniform for the last time don’t forget that there is an entire government agency that still has you in mind, and there are a lot of programs that can help you as you explore what is next in your life. The educational benefits and home loan eligibility don’t disappear on your last day of service, and depending on your disability evaluation or retirement status you may be entitled to free health care as well. Make sure to talk to someone at the VA during your transition journey. I guarantee you will be surprised at how much they can do for you! 1. Once you hit your EAS date you no longer fall under the DOD, but instead under the VA. This is a big deal because you can’t go back once you transition over. I will cover more about how important this is in future posts. 2. The benefits are astounding in many cases, but it is up to you to seek them out. Nobody is going to come to your house and educate you on the various programs. Go to http://www.va.gov/ and look around. You’ll be pleasantly surprised at just what the Veterans Administration offers. This entry was posted in Transition Posts and tagged active duty, Benefits, EAS, Marine Corps, military, Retirement, transition, VA, Veterans Administration. Bookmark the permalink. Final Physical Exam….or not. Welcome to the VA!